We support every type of compensation plan including Binary, Matrix, Unilevel (fixed or unlimited width), Stair-step unilevel, Hybrid etc. All our published prices include fully supporting your unique compensation plan. Our pricing doesn’t change based on which type of compensation plan you are using. Our prices include charges for customizing solution based on your unique compensation plan. Do note that prices cover all simple to medium complexities in compensation plan. If your compensation plan is overly complex and has too many finer “ifs” then there might be some premium added. Overall more than 90% of the cases your compensation plan will be fully covered without any additional charges. We fully support multiple Income Centres, network marketer can manage all with single online login. Also Binary genealogies with multiple counters/ nodes (pack of 3, 7, 15 or more) are supported as well. Various rank groups and ranks within each rank group. Network marketer can hold multiple ranks simultaneously one each from each rank group. Bonus income computation cycle as per your own needs like it can be anything from monthly to daily or ad-hoc as per requirements. Bonus income can be credited to eWallet of network marketers and optionally they can be allowed to transfer balances, buy products online etc. We don’t believe in wizard based bonus computations & display screen configurations. We manually put-together and optimize the bonus computations & verification display part. This allows us to remove redundant areas, improve efficiency of computation logic & display screens. Overall effect is you receive lean, efficient solution that gives right information at right place in right sequence that is perfectly suited for your unique compensation plans & work flow. This personal touch and efficiency cannot be gained using standard wizards. Wizard based solutions tend to be bloated in nature due to too many redundant features & checks that are not needed by all, information display follows generic templates and information needed in your case might be scattered in different screens or might not appear in logically desired sequence. After years of experience we decided to choose personal touch over wizard based solution. This means you cannot change your compensation plan all together dynamically. All such changes should go through our normal support process and there will be additional charges applicable depending upon the amount of work required for the change needed. 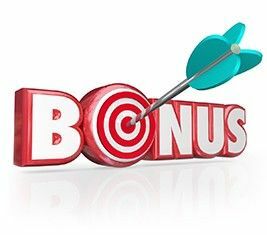 We provide “Bonus Criteria” screen that allows you to configure all numeric values used in your unique compensation plan. These criteria values have effective date range and you may easily change all numeric values over time as needed. Our computation logic & verification display screens are designed to take care of variations to numeric values overtime. This feature is part of bundled solution so there are no additional charges applicable with each change required in numeric values. This unique approach also means we cannot offer you ready bonus computations within a day or two. We usually take about 2 – 3 weeks to fully customize your solution to support all bonus computations and information display including “Bonus Criteria” editing screen. Usually we provide a solution that allows you to create network marketers, capture sales within few days and bonus computations/ other necessary details are delivered later on. Overall implementation period is normally about 1 month. While most other vendors provide only high level income summary information without providing any break-up details. Ontogeny® is designed to provide very detailed compensation plan verification information. Anyone can verify bonus computations right up to fractional digits. 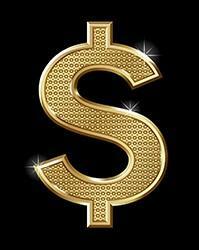 You will never have to answer “How did I earn this income?”. All network marketers can verify all necessary details directly from their own login area. This will free up your staff to focus more on constructive activities like growing sales. Admin staff also have access to all verification details for all network marketers from admin back office area. Various reports to view bonus income details by chosen period like Daily, Weekly, Monthly, Quarterly, Half Years, Yearly. There are several reports that show high level summary to detailed verification information for each compensation plan type used by you.